Community Action Norfolk are sharing this information on behalf of Norfolk County Council, please contact them directly with any queries. 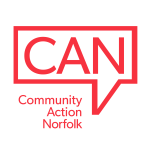 The Norfolk Communty Directory contains activities, services and events to help all Norfolk residents live healthy, active and fulfilling lives. The information on the Directory could be from any organisation who offers services, activities, or events to help people: keep healthy, be sociable, physically active, mentally active, raise their aspirations for educational achievement, help their community, stay independent, feel included, get involved, improve their well-being, stay safe, find suitable care and support, find help looking after their children, and get family support. It also provides information which supports the Local Offer, Care Act and Childcare Act. Listing your services or activities in the Norfolk Community Directory is a great way to tell the Norfolk community about what you do and what you can offer. The County Council welcome submissions from local providers and organisations, and we include information about any clubs, activities, advice and support services which help Norfolk people lead active, healthy and fulfilling lives. Check the categories and, if your service or activity is right for the Directory, register for an account. You can then apply to include a listing. Once we’ve approved your application, you can login and add your information to the Directory.